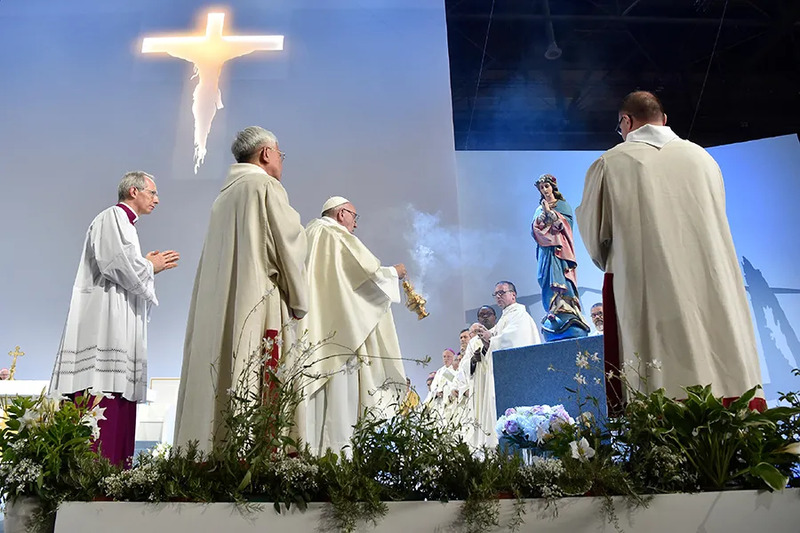 Geneva, Switzerland, Jun 21, 2018 / 11:13 am (CNA/EWTN News).- The Lord’s Prayer is the prayer of the Church, confirming a person’s identity as a beloved child of God, and reminding Catholics of the responsibility owed toward their brothers and sisters in Christ, Pope Francis said Thursday. “‘Our Father’: these two simple words offer us a roadmap for the spiritual life,” the pope said in a homily at Mass in Geneva June 21. The Mass took place at the end of a day-long trip to the Swiss city for the 70th anniversary of the World Council of Churches. 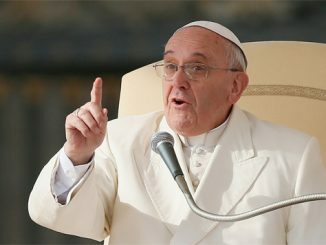 Referring to how Christians call God “our Father,” he said in the face of offenses against God, Catholics are called to overcome indifference and to treat everyone as brothers and sisters: including toward the unborn, the elderly, the person who is difficult to forgive, the poor, and the outcast. “This is what the Father asks us, indeed commands us, to do: to love one another from the heart, as sons and daughters in the midst of their brothers and sisters,” he said. The pope criticized the complication of today’s daily life, noting how many people rush “from dawn to dusk, between countless phone calls and texts,” filled with stress and preoccupied by change, with no time to see the faces of others. He advised choosing a simpler lifestyle, one which “goes against the tide,” and pointed to St. Aloysius Gonzaga, whose feast day is celebrated June 21, as an example. Such lifestyle “would involve giving up all those things that fill our lives but empty our hearts,” he said. And if a person finds it hard to forgive someone, he should pray for that person and for that situation, asking God for strength, he advised. 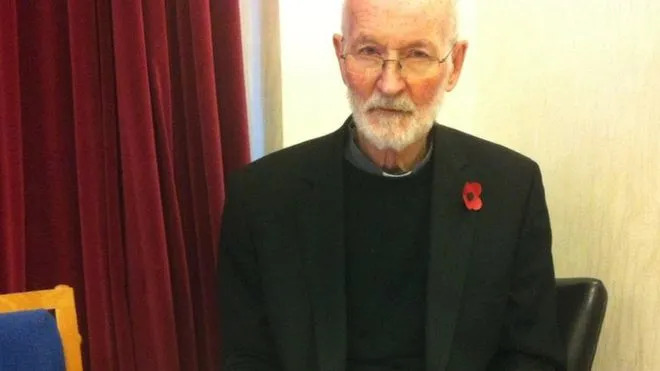 Motherwell, Scotland, Jul 21, 2018 / 04:01 pm (CNA/EWTN News).- Father Patrick Hennessy, who was robbed and attacked in May at his rectory in Scotland, says he has forgiven his robber and wants to visit him in prison to give him pastoral care. Michael McTaggart, 41, was sentenced to four years imprisonment July 17 at Glasgow Sheriff Court for the May 13 robbery of Fr. Hennessy, 73. Around 9:40 pm on May 13, McTaggart knocked on Fr. Hennessy’s rectory door. Fr. Hennessy is pastor of St. Columbkille’s in Rutherglen, in the Diocese of Motherwell, and is known regularly to help those who come to his door with donations of food. “Father Hennessy gave him two pink collection envelopes he believed to contain £10 each and five pounds from his pocket,” prosecutor Louise MacNeil told the court, according to Glasgow Live’s Ashlie McAnally. McTaggart continued asking for money, and Fr. Hennessy gave him a donation box, thought to have had about GBP 100 ($130). While McTaggart went through the envelopes in the donation box, Fr. Hennessy was able to run into the street and alert neighbors, and McTaggart fled. Fr. Hennessy said the St. Vincent de Paul Society will now handle donations at St. Columbkille’s, and is operated out of the parish hall. London, England, Jun 19, 2017 / 11:15 am (CNA/EWTN News).- Cardinal Vincent Nichols of Westminster has offered prayers for the victims of a terror attack in north London that targeted worshippers outside a mosque in the early hours of Monday. 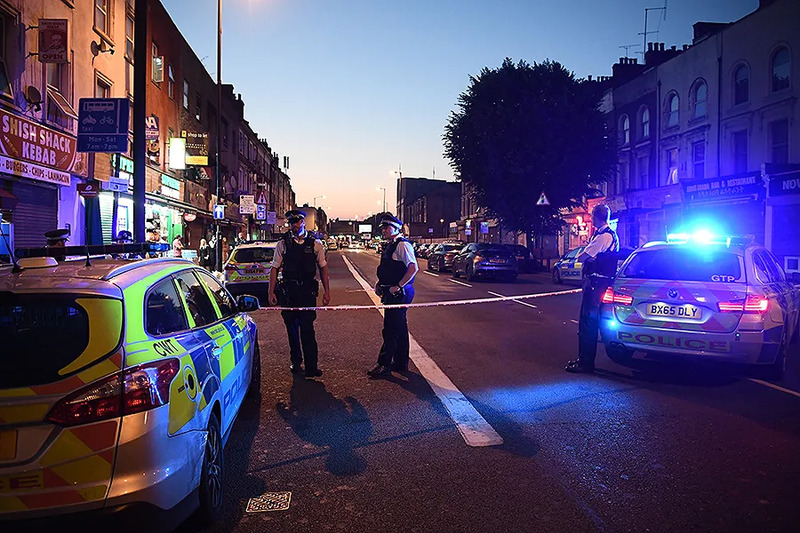 One person was killed and nine have been hospitalized, after a van drove into a group outside the Finsbury Park Mosque shortly before 12:20 am June 19. The Muslim worshippers were helping an elderly man who had fallen down in the street. “Together with people all over this country I am appalled at the deliberate attack on people leaving their late night prayers, as the end of their day of fasting, at the mosque in Finsbury Park,” Cardinal Nichols stated. The attack came after the group had taken part in evening prayers after breaking their Ramadan fast. The van’s driver, a 48 year old man, was restrained at the scene of the attack, and the mosque’s imam kept him from being attacked. He has been arrested on suspicion of attempted murder. Prime minister Theresa May said that “there has been far too much tolerance of extremism over many years”. The Finsbury Park Mosque had been associated with Islamist terrorism in the early 2000s. Abu Hamza al-Masri, its imam from 1997 to 2002, was found guilty in the UK of inciting violence. He was later extradited ot the US, where he was found guilty of terror charges. The mosque was shut down in 2003 after a police raid, but was reopened in 2005 under new trustees and new imams which have reportedly turned it around.